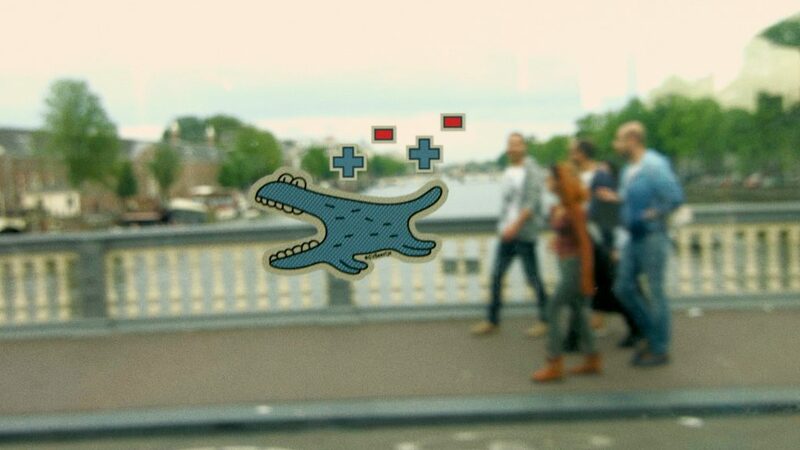 You can now play this super simple low-tech “augmented reality” game on every tram in Amsterdam! Why? While traveling is great, your daily commute to work or school can get boring. Even when you live in an attractive place as Amsterdam. That’s why Daniel Disselkoen, interactive artist at Headmade, made commuting a bit more adventurous. 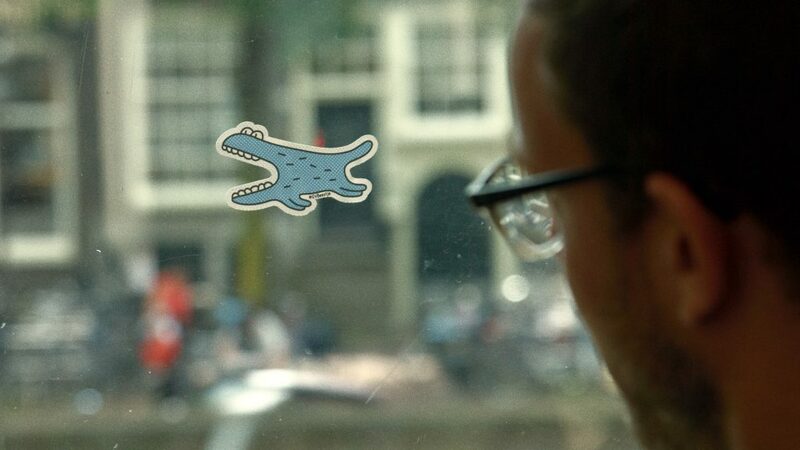 In a special collaboration with GVB, the municipal public transport operator for Amsterdam, little creatures were installed in all trams of Amsterdam, changing the daily journey of passengers. One sticker is added to the window of the tram. 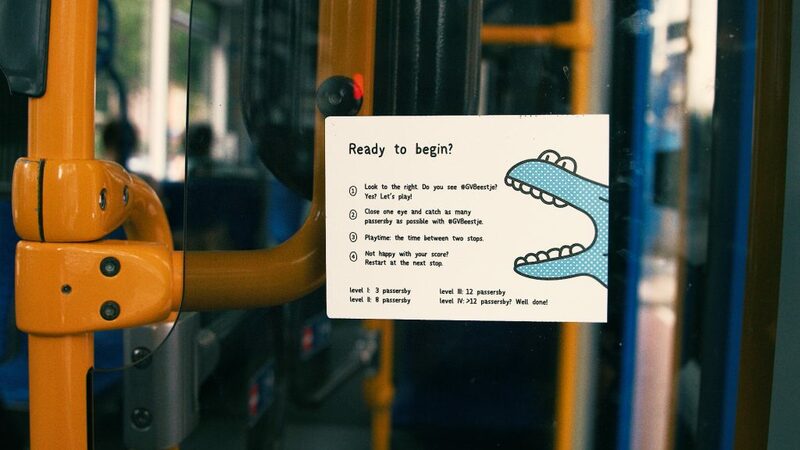 Another sticker, with instructions, is placed in front of your seat. As the tram starts heading forward, you can play the game by just moving your head up and down. Eat as many pedestrians as possible by capturing their heads into the creature’s mouth. Still holding on to your phone? Well then share your score with other commuters by using the hashtag #GVBeestje!